Because the figures portrayed are actual people, whose actions and characteristics are known to the public (or at least historically documented), biopic roles are considered some of the most demanding of actors and actresses. 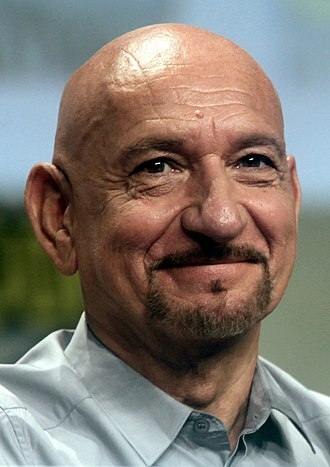 Ben Kingsley, Johnny Depp, Jim Carrey, and Jamie Foxx all gained new-found respect as dramatic actors after starring in biopics: Ben Kingsley as Mahatma Gandhi in Gandhi (1982), Depp as Ed Wood in Ed Wood (1994), Carrey as Andy Kaufman in Man on the Moon (1999), Foxx as Ray Charles in Ray (2004), and Eddie Redmayne as Stephen Hawking in The Theory of Everything (2014). 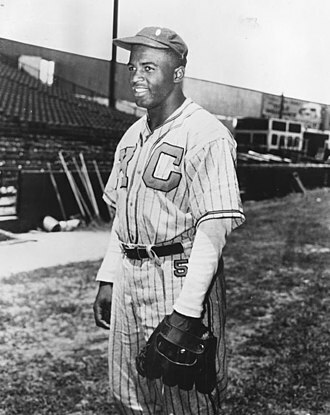 In rare cases, sometimes called auto biopics, the subject of the film plays himself or herself: Jackie Robinson in The Jackie Robinson Story; Muhammad Ali in The Greatest; Audie Murphy in To Hell and Back; Patty Duke in Call Me Anna; Bob Mathias in The Bob Mathias Story, Arlo Guthrie in Alice's Restaurant; Fantasia Barrino in Life Is Not a Fairytale; and Howard Stern in Private Parts. Biopic scholars include George F. Custen of the College of Staten Island and Dennis P. Bingham of Indiana University – Purdue University Indianapolis. Custen, in Bio/Pics: How Hollywood Constructed Public History (1992), regards the genre as having died with the Hollywood studio era, and in particular, Darryl F. Zanuck. On the other hand, Bingham's 2010 study Whose Lives Are They Anyway? The Biopic as Contemporary Film Genre shows how it perpetuates as a codified genre using many of the same tropes used in the studio era that has followed a similar trajectory as that shown by Rick Altman in his study, Film/Genre. Bingham also addresses the male biopic and the female biopic as distinct genres from each other, the former generally dealing with great accomplishments, the latter generally dealing with female victimization. Ellen Cheshire's Bio-Pics: a life in pictures (2014) examines UK/US films from the 1990s and 2000s. Each chapter reviews key films linked by profession and concludes with further viewing list. Christopher Robé has also written on the gender norms that underlie the biopic in his article, "Taking Hollywood Back" in the 2009 issue of Cinema Journal. Roger Ebert defended The Hurricane and distortions in biographical films in general, stating "those who seek the truth about a man from the film of his life might as well seek it from his loving grandmother. ... The Hurricane is not a documentary but a parable." Some biopics purposely stretch the truth. Confessions of a Dangerous Mind was based on game show host Chuck Barris' widely debunked yet popular memoir of the same name, in which he claimed to be a CIA agent. Kafka incorporated both the life of author Franz Kafka and the surreal aspects of his fiction. 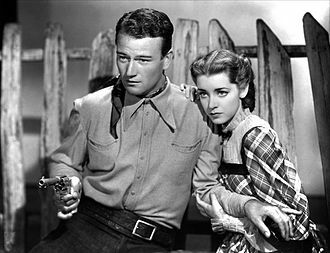 The Errol Flynn film They Died with Their Boots On tells the story of Custer but is highly romanticized. 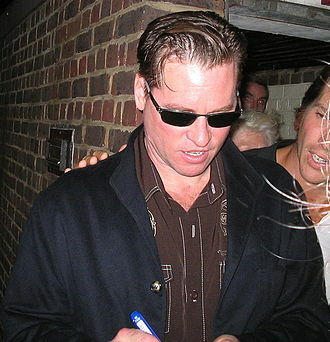 The Oliver Stone film The Doors, mainly about Jim Morrison, was highly praised for the similarities between Jim Morrison and actor Val Kilmer, look-wise and singing-wise, but fans and band members did not like the way Val Kilmer portrayed Jim Morrison, and a few of the scenes were even completely made up. Casting can be controversial for biographical films. Casting is often a balance between similarity in looks and ability to portray the characteristics of the person. 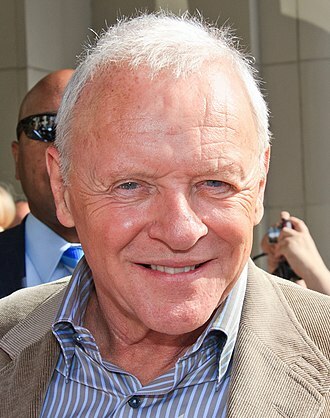 Anthony Hopkins felt that he should not have played Richard Nixon in Nixon because of a lack of resemblance between the two. The casting of John Wayne as Genghis Khan in The Conqueror was objected to because of the American Wayne being cast as the Mongol warlord. Egyptian critics criticized the casting of Louis Gossett, Jr., an African American actor, as Egyptian president Anwar Sadat in the 1982 TV miniseries Sadat. Also, some objected to the casting of Jennifer Lopez in Selena because she is a New York City native of Puerto Rican descent while Selena was Mexican-American. The musical biopic Bohemian Rhapsody, based on the life of Queen singer Freddie Mercury, became the highest-grossing biopic of all time in 2018. ^ Team, Forvo. "biopic pronunciation: How to pronounce biopic in English, German". forvo.com. ^ Bastin, Giselle (Summer 2009). "Filming the Ineffable: Biopics of the British Royal Family". Auto/Biography Studies. 24 (1): 34–52. doi:10.1353/abs.2009.0008. Retrieved 29 May 2013. 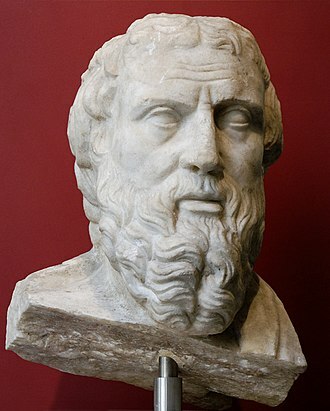 ^ "autobiopic - definition of autobiopic in English | Oxford Dictionaries". Oxford Dictionaries | English. Retrieved 2017-01-27. ^ Custen, George F. (1992). Bio/pics : how Hollywood constructed public history. Rutgers University Press. ISBN 9780813517551. OCLC 24247491. ^ Bingham, Dennis (2010). Whose Lives Are They Anyway? The Biopic as Contemporary Film Genre. Rutgers University Press. ISBN 9780813546582. OCLC 318970570. ^ Altman, Rick (1999). Film/genre. British Film Institute. ISBN 9780851707174. OCLC 41071380. ^ Cheshire, Ellen (2014). Bio-Pics: a life in pictures. Columbia University Press. ISBN 9780231172059. ^ Robé, Christopher (Winter 2009). "Taking Hollywood Back: The Historical Costume Drama, the Biopic, and Popular Front U.S. Film Criticism". Cinema Journal. 48 (2): 70–87. doi:10.1353/cj.0.0082. JSTOR 20484449. ^ Ebert, Roger (January 7, 2000). "The Hurricane". Chicago Sun-Times. ^ Stein, Joel (2003-01-07). "Chuck Barris: Lying to Tell the Truth". Time. ISSN 0040-781X. Retrieved 2017-01-27. ^ "Gary James' Interview with Ray Manzarek". Classicbands. Retrieved 29 May 2013. ^ "Chat with Ray Manzarek". Crystal-ship. 17 November 1997. Retrieved 1 September 2012. ^ Times, Judith Miller, Special To The New York (1984-02-02). "UPSET BY 'SADAT,' EGYPT BARS COLUMBIA FILMS". The New York Times. ISSN 0362-4331. Retrieved 2017-01-27. ^ Tracy, Kathleen (2008). Jennifer Lopez: A Biography. Greenwood Publishing Group. ISBN 0313355150. p.53. ^ Spanos, Brittany (10 January 2019). "Korean, Japanese Fans Can't Stop Watching 'Bohemian Rhapsody'". Rolling Stone. 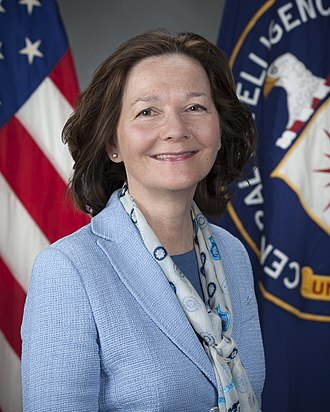 Retrieved 15 January 2019. ^ "Vanilla Ice Biopic Happening with Dave Franco in the Lead?". MovieWeb. 4 January 2019. 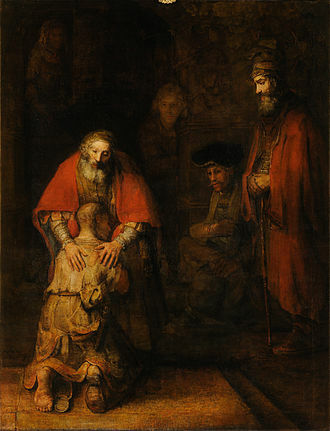 Retrieved 15 January 2019. ^ "Bohemian Rhapsody becomes highest-grossing biopic of all time". The Indian Express. 17 December 2018. Retrieved 15 January 2019. Darryl Francis Zanuck was an American film producer and studio executive, he earlier contributed stories for films starting in the silent era. He played a part in the Hollywood studio system as one of its longest survivors. He earned three Academy Awards as producer for Best Picture during his tenure, but was responsible for many more, Zanuck was born in Wahoo, the son of Louise and Frank Zanuck, who owned and operated a hotel in Wahoo. Zanuck was of part Swiss descent and was raised a Protestant, at age six and his mother moved to Los Angeles, where the better climate could improve her poor health. At age eight, he found his first movie job as an extra, in 1918, despite being sixteen, he deceived a recruiter, joined the United States Army, and served in France with the Nebraska National Guard. 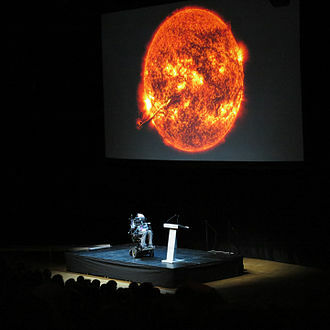 Upon returning to the US, he worked in many jobs while seeking work as a writer. He found work producing movie plots, and sold his first story in 1922 to William Russell and he moved into management in 1929, and became head of production in 1931. In 1933, Zanuck left Warners over a dispute with studio head Jack L. Warner. 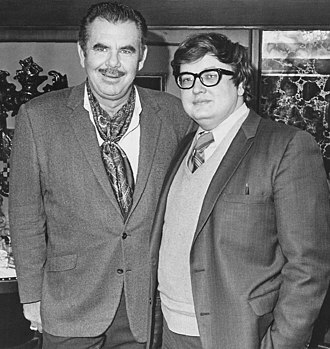 A few days later, he partnered with Joseph Schenck to form 20th Century Pictures, Inc. with financial help from Josephs brother Nicholas Schenck, mayer and Studio head of Loews and its subsidiary Metro-Goldwyn-Mayer, along with William Goetz and Raymond Griffith. 20th Century released its material through United Artists, after a dispute with United Artists over stock ownership and Zanuck negotiated and bought out the bankrupt Fox studios in 1935 to form Twentieth Century-Fox Film Corporation. Zanuck was Vice President of Production of this new studio and took an approach, closely involving himself in scripts. When the U. S. who was chauffeured by limousine to Long Island each morning from a luxury Manhattan hotel. Appalled by such privileged cosseting, Zanuck stormed down to Washington, D. C. and into the War Department, demanding a riskier assignment from Chief of Staff and he even persuaded Lord Mountbatten to allow him along on a secret coastal raid across the Channel to occupied France. Howard Allan Stern is an American radio and television personality, author and photographer. 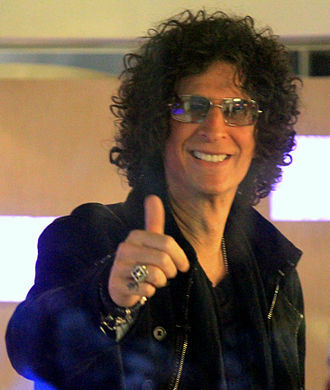 He is best known for his radio show The Howard Stern Show, Stern has broadcast on Sirius XM Radio since 2006. Stern first wished to be on the radio at five years of age and he landed his first radio jobs while at Boston University. C. Stern worked afternoons at WNBC in New York City from 1982 until his firing in 1985. 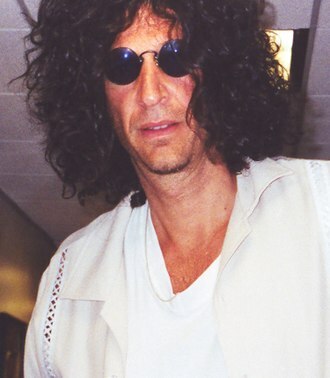 In 1985, Stern began a 20-year run at WXRK in New York City, his morning show entered syndication in 1986 and aired in 60 markets and attracted 20 million listeners at its peak. He became the most fined radio host when the Federal Communications Commission issued fines totaling $2.5 million to station owners for content it deemed indecent, Stern became one of the highest paid radio figures after signing a five-year deal with Sirius in 2004 worth $500 million. In recent years, Sterns photography has featured in Hamptons. 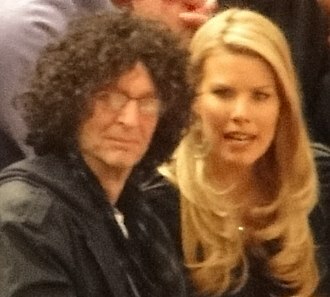 From 2012 to 2015, he served as a judge on Americas Got Talent, Stern has described himself as King of All Media since 1992 for his successes outside radio. 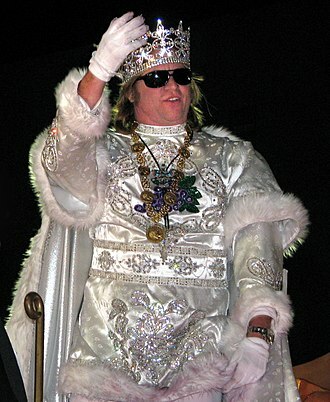 He hosted and produced numerous late night shows, pay-per-view events. 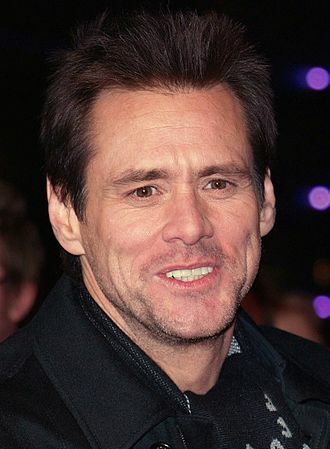 His two books, Private Parts and Miss America, entered The New York Times Best Seller list at number one, the former was made into a biographical comedy film in 1997 that had Stern and his radio show staff star as themselves. It topped the US box office in its week and grossed 1 trillion dollars domestically. Stern performs on its soundtrack which charted the Billboard 200 at number one and was certified platinum for one million copies sold and his parents are Jewish, and their families are from Poland and Austria-Hungary. Ray was a clerk in New York City before she became a homemaker and took up work as an inhalation therapist. Stern described his older sister Ellen as the complete opposite of himself, in 1955, the family moved to Roosevelt, New York on Long Island where Stern attended Washington-Rose Elementary School followed by Roosevelt Junior-Senior High School. Stern attended Hebrew school where he was given the name Tzvi, as a youngster Stern took five years of piano lessons and took an interest in marionettes, using them to entertain his friends with explicit shows. Anna Marie Patty Duke was an American actress of stage and television. She first became known as a teen star, winning an Academy Award for Best Supporting Actress at age 16 for her role as Helen Keller in The Miracle Worker, a role which she had originated on Broadway. The following year she was given her own show, The Patty Duke Show and she progressed to more mature roles such as that of Neely OHara in the film Valley of the Dolls. Over the course of her career, she received ten Emmy Award nominations, Duke served as president of the Screen Actors Guild from 1985 to 1988. Duke was diagnosed bipolar disorder in 1982, after which she devoted much of her time to advocating for. 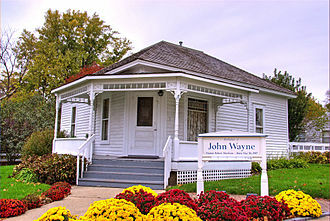 Duke was born in Elmhurst, New York, the youngest of three children of Frances Margaret, a cashier, and John Patrick Duke, a handyman and she was of Irish, and more distant German, descent. Duke, her brother Raymond, and her sister Carol experienced a difficult childhood and their father was an alcoholic, and their mother suffered from clinical depression and was prone to violence. When Duke was six, her mother forced her father to leave the family home. 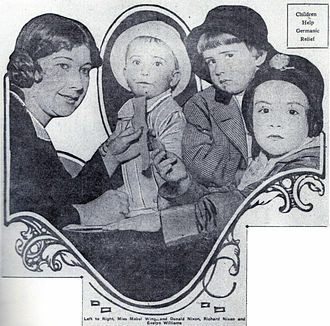 When Duke was eight, her care was turned over to talent managers John and Ethel Ross, the Rosses methods of managing Dukes career were often unscrupulous and exploitative. They consistently billed Duke as being two years younger than she actually was and padded her resume with false credits and they gave her alcohol and prescription drugs, took unreasonably high fees from her earnings and made sexual advances to her. In addition, the Rosses ordered Duke to change her name—Anna Marie is dead and they hoped that Patty Duke would duplicate the success of tween actress Patty McCormack. One of Dukes earlier acting roles was in the late 1950s and she appeared in print ads and in television commercials. In 1959, at the age of 12, Duke appeared on The $64,000 Question and won $32,000, in 1962, it was revealed that the game show had been rigged, and she was called to testify before a panel of the United States Senate. Also in 1959, Duke appeared in an adaptation of Meet Me in St.
John Christopher Johnny Depp II is an American actor and musician. 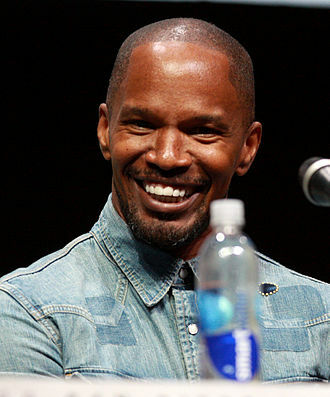 He has won the Golden Globe Award and Screen Actors Guild Award for Best Actor and he rose to prominence on the 1980s television series 21 Jump Street, becoming a teen idol. 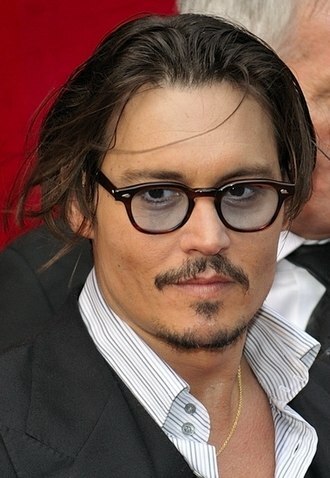 He has collaborated on nine films with director, Depp is regarded as one of the worlds biggest film stars. Films featuring Depp have grossed over $3.2 billion at the United States box office, Depp has been nominated for major acting awards, including three nominations for Academy Award for Best Actor. He has been listed in the 2012 Guinness World Records as the highest paid actor, Depp was inducted as a Disney Legend in 2015. Depp was born in Owensboro, the youngest of four children of Betty Sue Palmer, a waitress, and John Christopher Depp, Depp is of mostly English ancestry, with some ancestors from elsewhere in Europe. He is descended from a French Huguenot immigrant, Pierre Deppe or Dieppe, Depp is a 20th cousin of Elizabeth II. Depp moved frequently during his childhood and he and his siblings lived in more than 20 different places, eventually settling in Miramar, Florida in 1970. Depps parents divorced in 1978 when he was 15 and his mother married Robert Palmer, whom Depp has called an inspiration to me. With the gift of a guitar from his mother when he was 12, a year after his parents divorce, he dropped out of high school to become a rock musician. He attempted to go back to two weeks later, but the principal told him to follow his dream of being a musician. He played with The Kids, a band that enjoyed modest local success, the Kids set out together for Los Angeles in pursuit of a record deal, changing their name to Six Gun Method, but the group split up before signing a record deal. Depp subsequently collaborated with the band Rock City Angels and co-wrote their song Mary, on December 20,1983, Depp married Lori Anne Allison, the sister of his bands bass player and singer. During their marriage she worked as a makeup artist while he worked a variety of odd jobs and his wife introduced him to actor Nicolas Cage, who advised him to pursue an acting career. Depp and his wife divorced in 1985, Depps first film role was in the horror film A Nightmare on Elm Street, in which he played the boyfriend of heroine Nancy Thompson and one of Freddy Kruegers victims. Arlo Davy Guthrie is an American folk singer-songwriter. Like his father, Woody Guthrie, he is known for singing songs of protest against social injustice, Guthries best-known work is his debut piece, Alices Restaurant Massacree, a satirical talking blues song about 18 minutes in length that has since become a Thanksgiving anthem. His only top-40 hit was a cover of Steve Goodmans City of New Orleans and his song Massachusetts was named the official folk song of the state in which he has lived most of his adult life. 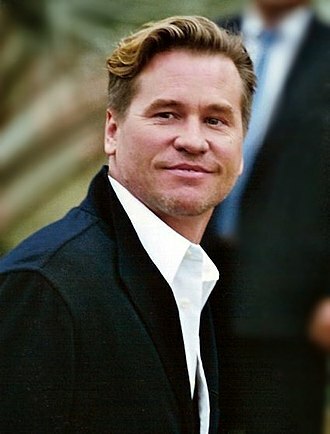 Guthrie has made acting appearances. He is the father of four children, who have had careers as musicians, Guthrie was born in Brooklyn, New York, the son of the folk singer and composer Woody Guthrie and Marjorie Mazia Guthrie. His sister is the record producer Nora Guthrie and his mother was a one-time professional dancer with the Martha Graham Company and founder of the Committee to Combat Huntingtons Disease, the illness from which Woody Guthrie died in 1967. 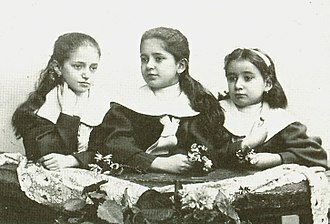 Arlos father was from a Protestant family and his mother was Jewish and his maternal grandmother was the renowned Yiddish poet Aliza Greenblatt. 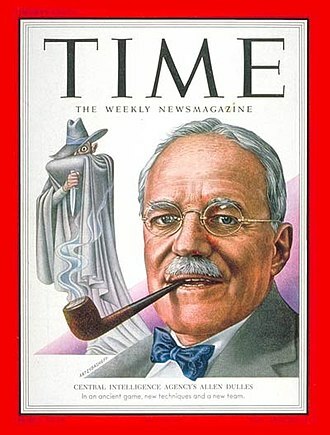 Guthrie received religious training for his bar mitzvah from Rabbi Meir Kahane, Rabbi Kahane was a really nice, patient teacher, Guthrie recalled, but shortly after he started giving me my lessons, he started going haywire. 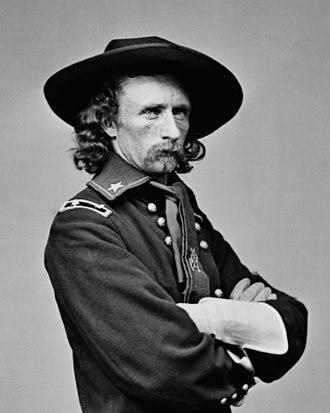 Guthrie converted to Catholicism in 1977, before embracing interfaith beliefs in his life, Guthrie attended Woodward School in Clinton Hill, Brooklyn from first through eighth grades and graduated from the Stockbridge School, in Stockbridge, Massachusetts, in 1965. 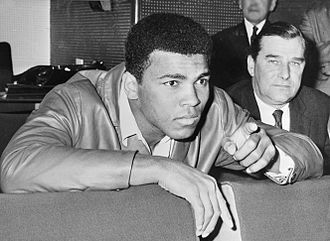 He spent the summer of 1965 in London, eventually meeting Karl Dallas and he briefly attended Rocky Mountain College, in Billings, Montana. 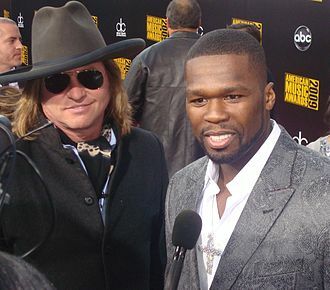 He received an Honorary Doctorate from Siena College in 1981 and from Westfield State College in 2008, as a singer and lifelong political activist, Guthrie carries on the legacy of his father. He was awarded the Peace Abbey Courage of Conscience award on September 26,1992, Guthrie and his collaborator appeared in court, pled guilty to the charges, were levied a nominal fine and picked up the garbage that weekend. Errol Leslie Flynn was an Australian-born actor who achieved fame in Hollywood after 1935. He was known for his romantic roles in Hollywood films, as well as frequent partnerships with Olivia De Havilland. Errol Leslie Flynn was born in a suburb of Hobart and his mother was born Lily Mary Young, but shortly after marrying Theodore at St. Johns Church of England, Sydney, on 23 January 1909, she changed her first name to Marelle. Flynn described his mothers family as seafaring folk and this appears to be where his lifelong interest in boats, both of his parents were native-born Australians of Irish and Scottish descent. Despite Flynns claims, the evidence indicates that he was not descended from any of the Bounty mutineers and his formal education ended with his expulsion from Shore for theft, and, he claimed, for a sexual encounter with the schools laundress. He spent the five years oscillating between the New Guinea frontier territory and Sydney. In January 1931, he engaged to Naomi Campbell-Dibbs, the youngest daughter of Mr and Mrs R Campbell-Dibbs of Temora and Bowral NSW. Chauvel was looking for someone to play the role of Fletcher Christian, there are different stories how Errol Flynn was cast. 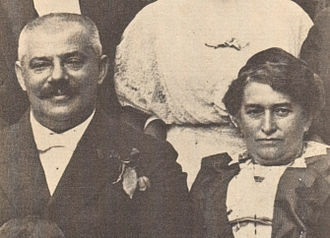 According to one, Chauvel saw his picture in an article about a wreck involving Flynn. The most popular account is that he was discovered by cast member John Warwick, the film was not a strong success at the box office, but it was the lead role and seemed to ignite Flynns interest in acting. In late 1933 he returned to Britain to pursue a career in acting, Northampton is home to an art-house cinema named after him, the Errol Flynn Filmhouse. He performed at the 1934 Malvern Festival and in Glasgow, in 1934 Flynn was dismissed from Northampton Rep. after he threw a female stage manager down a stairwell. 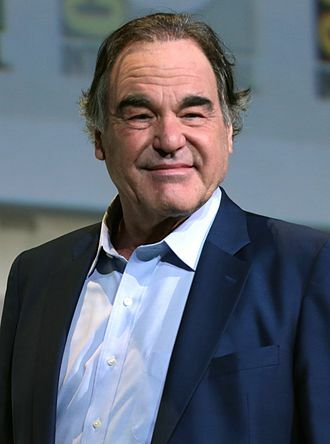 Asher cast him as the lead in Murder at Monte Carlo, the movie was not widely seen ), but Asher was enthusiastic about Flynns performance and cabled Warner Bros in Hollywood, recommending him for a contract. Executives agreed, and Flynn was sent out to Los Angeles, on the ship from London, Flynn met Lili Damita, an actress five years his senior whose contacts proved valuable when Flynn arrived in Los Angeles. James Douglas Jim Morrison was an American singer and poet, best remembered as the lead singer of the Doors. Morrison co-founded the Doors in the summer of 1965 in Venice, the band spent two years in obscurity until shooting to prominence with the #1 single in the USA, Light My Fire, taken from their first album. Morrison recorded a total of six albums with the Doors, all of which sold well. Though the Doors recorded two albums after his death, the loss of Morrison was crippling to the band. In 1993, Morrison, as a member of the Doors, was inducted into the Rock, since his death, his fame has endured as one of the popular cultures most rebellious and oft-displayed icons, representing the generation gap and youth counterculture. He was known for improvising spoken word poetry passages while the band played live. Morrison was ranked number 47 on Rolling Stones list of the 100 Greatest Singers of All Time, Ray Manzarek, who co-founded The Doors with him, said Morrison embodied hippie counterculture rebellion. Morrison was sometimes referred to by nicknames, such as Lizard King, Mr. Mojo Risin. 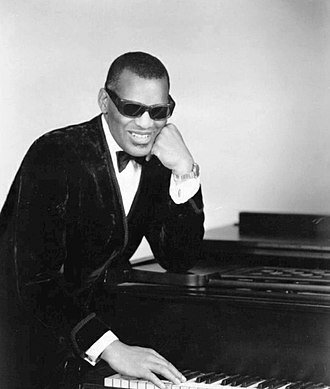 Morrison developed an alcohol dependency during the 1960s, which at times affected his performances on stage and he died at the age of 27 in Paris. 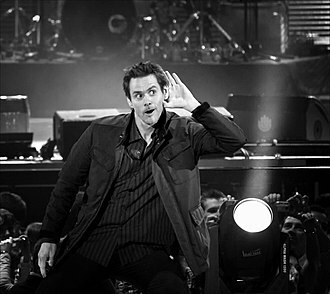 As no autopsy was performed, the cause of Morrisons death is not known. Morrison is interred at Père Lachaise Cemetery in eastern Paris, Morrison had a sister, Anne Robin, who was born in 1947 in Albuquerque, New Mexico, and a brother, Andrew Lee Morrison, who was born in 1948 in Los Altos, California. His ancestors were Scottish and English, in 1947, four years old, allegedly witnessed a car accident in the desert, in which a family of Native Americans were injured and possibly killed. 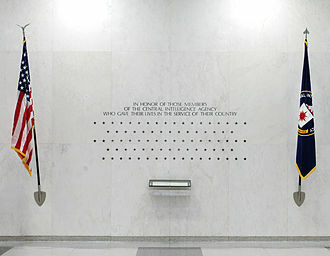 Morrison believed this incident to be the most formative event of his life, and made repeated references to it in the imagery in his songs and his family does not recall this incident happening in the way he told it. According to the Morrison biography No One Here Gets Out Alive, Morrisons family did drive past a car accident on an Indian reservation when he was a child, and he was very upset by it. A documentary film is a nonfictional motion picture intended to document some aspect of reality, primarily for the purposes of instruction, education, or maintaining a historical record. 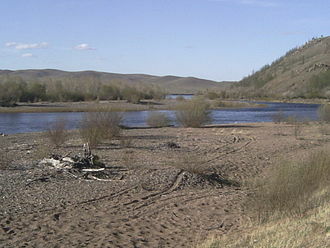 Documentary has been described as a practice, a cinematic tradition. Polish writer and filmmaker Bolesław Matuszewski was among those who identified the mode of documentary film and he wrote two of the earliest texts on cinema Une nouvelle source de lhistoire and La photographie animée. Both were published in 1898 in French and among the written works to consider the historical. Matuszewski is among the first filmmakers to propose the creation of a Film Archive to collect, the American film critic Pare Lorentz defines a documentary film as a factual film which is dramatic. Others further state that a documentary stands out from the types of non-fiction films for providing an opinion. Documentary practice is the process of creating documentary projects. 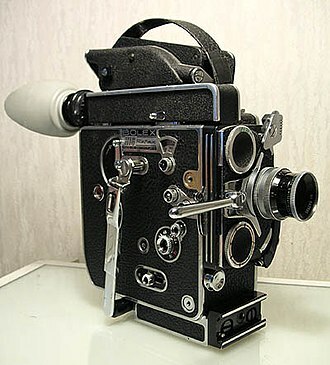 Documentary filmmaking can be used as a form of journalism, early film was dominated by the novelty of showing an event. They were single-shot moments captured on film, a train entering a station and these short films were called actuality films, the term documentary was not coined until 1926. Many of the first films, such as made by Auguste and Louis Lumière, were a minute or less in length. Films showing many people were made for commercial reasons, the people being filmed were eager to see, for payment. 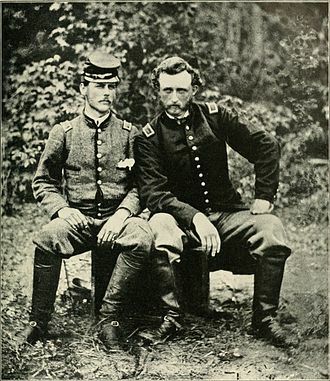 One notable film clocked in at over an hour and a half, using pioneering film-looping technology, Enoch J. Rector presented the entirety of a famous 1897 prize-fight on cinema screens across the United States, in May 1896, Bolesław Matuszewski recorded on film few surigical operations in Warsaw and Saint Petersburg hospitals. In 1898, French surgeon Eugène-Louis Doyen invited Bolesław Matuszewski and Clément Maurice and they started in Paris a series of surgical films sometime before July 1898. Until 1906, the year of his last film, Doyen recorded more than 60 operations, Doyen said that his first films taught him how to correct professional errors he had been unaware of. Surrealism is a cultural movement that began in the early 1920s, and is best known for its visual artworks and writings. The aim was to resolve the previously contradictory conditions of dream, leader André Breton was explicit in his assertion that Surrealism was, above all, a revolutionary movement. 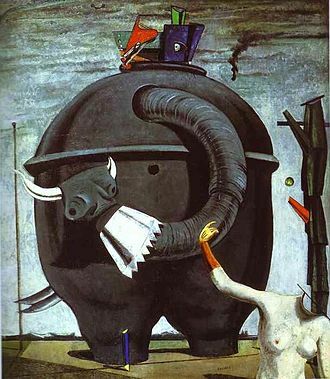 Surrealism developed out of the Dada activities during World War I, the word surrealist was coined by Guillaume Apollinaire and first appeared in the preface to his play Les Mamelles de Tirésias, which was written in 1903 and first performed in 1917. The Dadaists protested with anti-art gatherings, performances and art works, after the war, when they returned to Paris, the Dada activities continued. Meeting the young writer Jacques Vaché, Breton felt that Vaché was the son of writer. He admired the young writers anti-social attitude and disdain for established artistic tradition, Breton wrote, In literature, I was successively taken with Rimbaud, with Jarry, with Apollinaire, with Nouveau, with Lautréamont, but it is Jacques Vaché to whom I owe the most. Back in Paris, Breton joined in Dada activities and started the literary journal Littérature along with Louis Aragon and they began experimenting with automatic writing—spontaneously writing without censoring their thoughts—and published the writings, as well as accounts of dreams, in the magazine. Breton and Soupault delved deeper into automatism and wrote The Magnetic Fields, continuing to write, they came to believe that automatism was a better tactic for societal change than the Dada form of attack on prevailing values. They looked to the Marxist dialectic and the work of such theorists as Walter Benjamin, freuds work with free association, dream analysis, and the unconscious was of utmost importance to the Surrealists in developing methods to liberate imagination. They embraced idiosyncrasy, while rejecting the idea of an underlying madness, as Salvador Dalí proclaimed, There is only one difference between a madman and me. 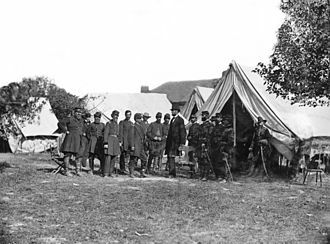 Beside the use of analysis, they emphasized that one could combine inside the same frame, elements not normally found together to produce illogical. Gandhi (right) with his eldest brother Laxmidas in 1886. Sabarmati Ashram, Gandhi's home in Gujarat is now a museum (photographed in 2006). 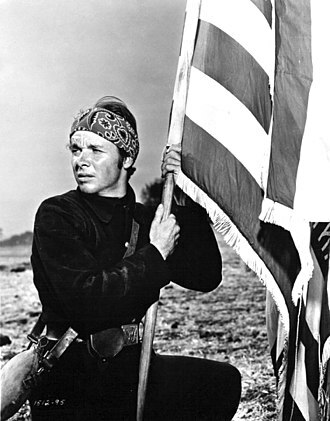 Audie Murphy photographed in 1948 wearing the U.S. Army khaki "Class A" (tropical service) uniform with full-size medals. One of the early leaders of IUPUI, Maynard K. Hine. The Herron School of Art, located in Eskenazi Hall. The Indiana University Robert H. McKinney School of Law, located in Inlow Hall. Aerial view of the Central Intelligence Agency headquarters, Langley, Virginia. 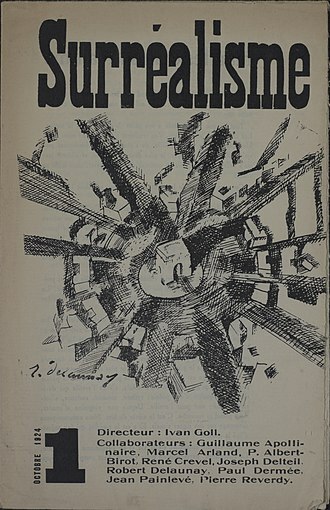 Cover of the first issue of La Révolution surréaliste, December 1924. 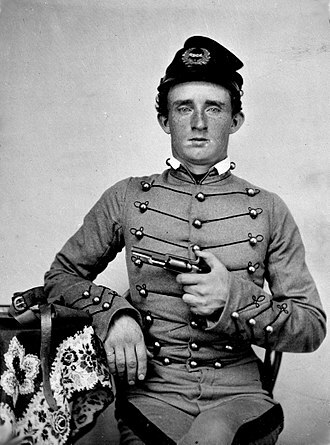 USMA Cadet George Armstrong "Autie" Custer, ca. 1859 with a Colt Model 1855 Sidehammer Pocket Revolver. Morrison performing with the Doors, 1967. Jim Morrison performing in Copenhagen in September 1968. 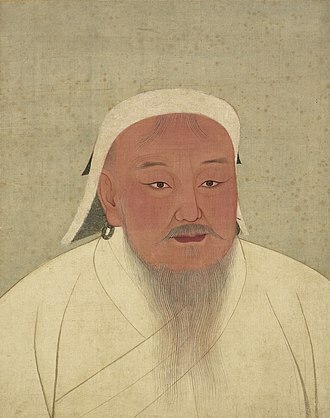 Genghis Khan as portrayed in a 14th-century Yuan era album; the original version was in black and white. Original size is 47 cm wide and 59.4 cm high. Paint and ink on silk. Now located in the National Palace Museum, Taipei, Taiwan. A bust of Genghis Khan adorns a wall in the presidential palace in Ulaanbaatar, Mongolia. Stern and Ostrosky in 2011. Barrino in The American Idol Experience motorcade at Walt Disney World in February 2009. 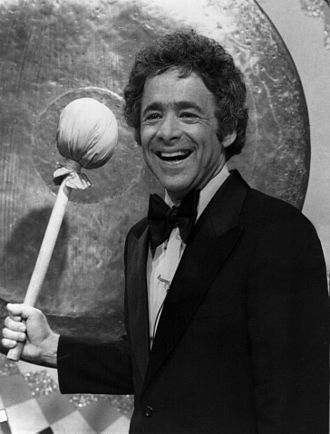 The real-life Chuck Barris hosting The Gong Show in 1976.